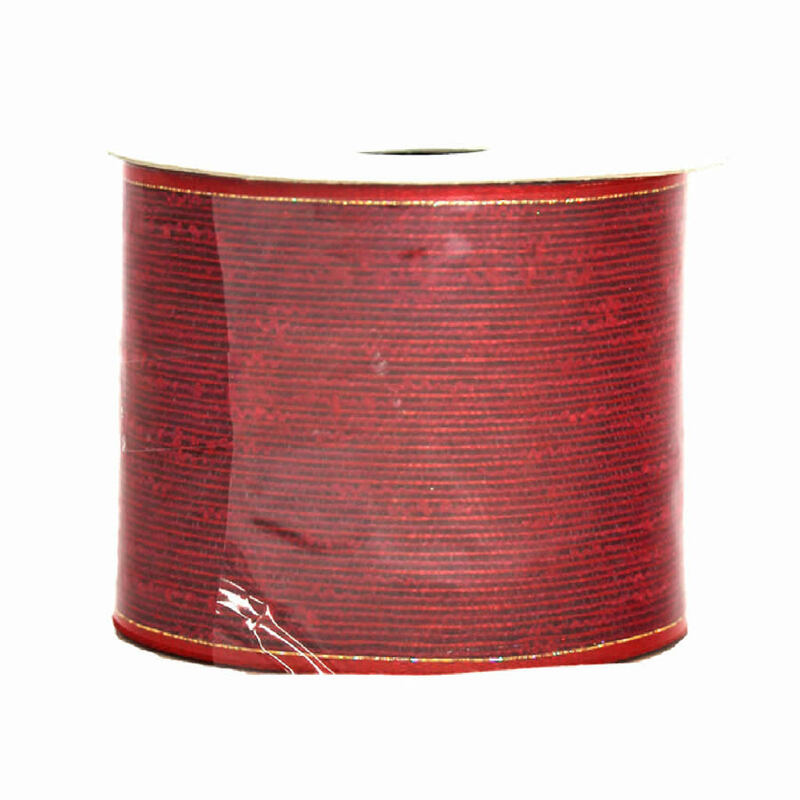 You will want at least one roll of this Red Metallic Cotton Ribbon in your Christmas closet or holiday repertoire. 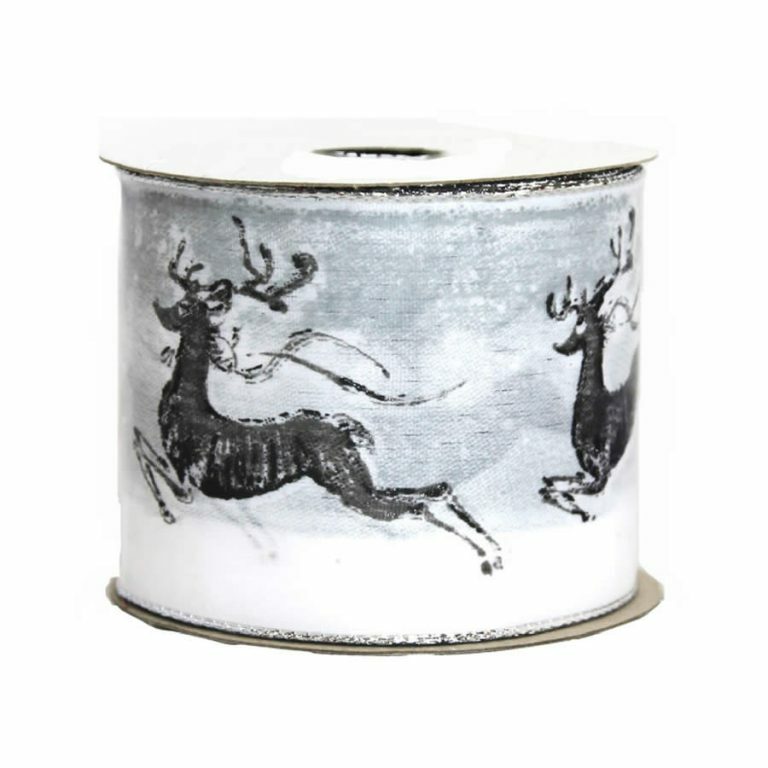 Each roll contains 9metres of high-quality cotton ribbon, suitable for bows, accents, and decorating touches around your home. This ribbon is an impressive 7cm in width, so it makes the fullest and most fabulous bows and trims ever! The intricate weave of this ribbon gives it texture and a unique look when you use it on your tree, packages, or wreaths this holiday season. 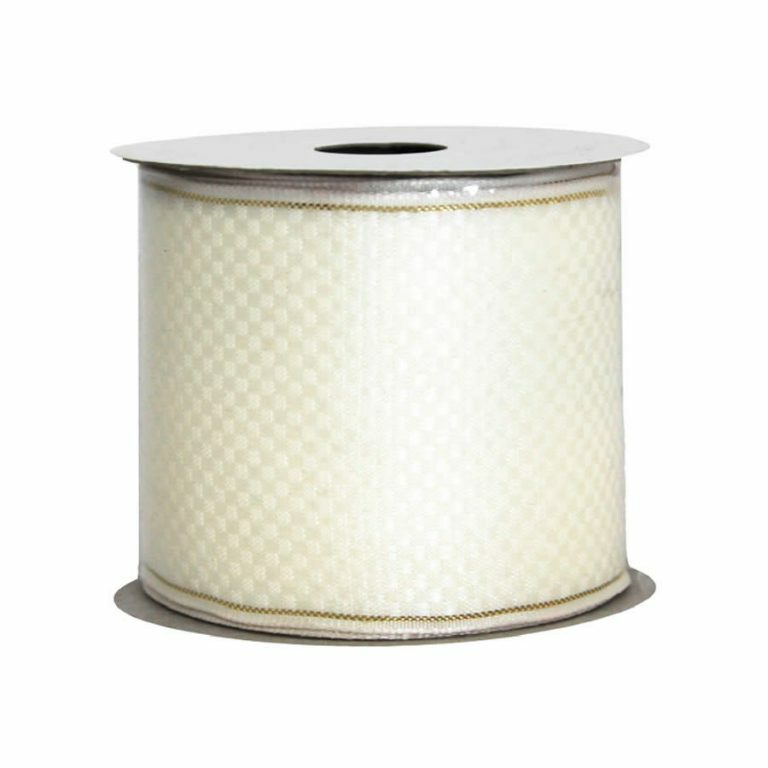 The wire edge of this gorgeous, traditional red ribbon helps make it the most convenient ribbon that you will ever use. Bows stay fuller, accents stay in place better, and you are able to create extravagant details for all of your holiday displays with great ease. 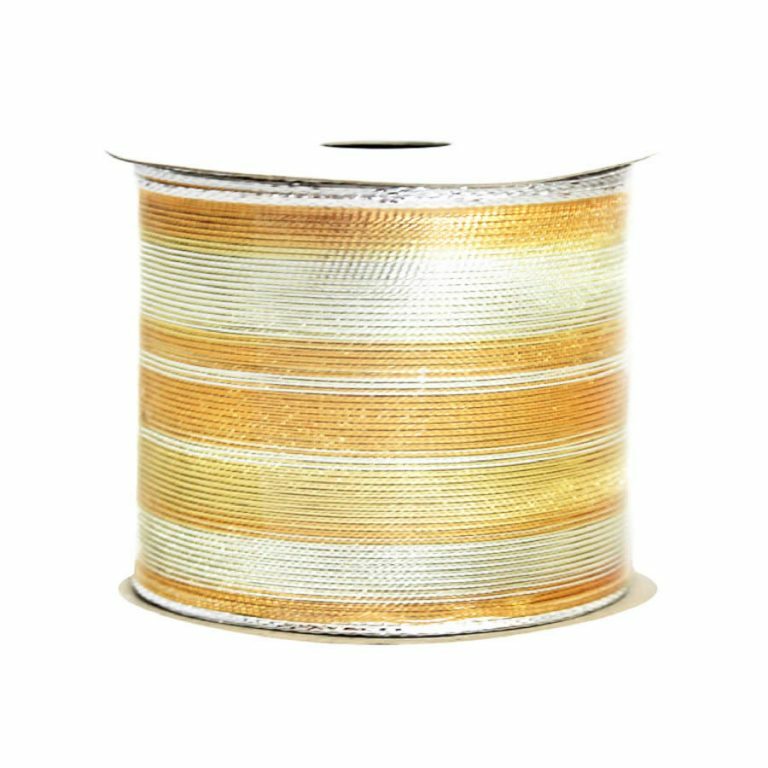 This is one of the staple items that every home enthusiast should have on hand- you will find so many uses for this quality ribbon during the holidays, and all year through.